TLC Property Management knows that our residents like to have fun here in Springfield, MO, and our city is a great place bustling with activities for you to get involved in. Get out of the apartment and participate in one of the great events happening in our city this month. Read on to find out what’s happening near you. Head to the heart of Springfield to the Ozark Empire Fairgrounds and Event Center to check out the goods from more than 300 vendors. Whether you’re looking for houseware, antiques, jewelry, clothing, home decor, handmade items, furniture, or gourmet foods — or even whether you’re simply there to browse — this is a great chance to find a one-of-a-kind addition to your home or to admire the talents of others. Admission is $5 for the three days. 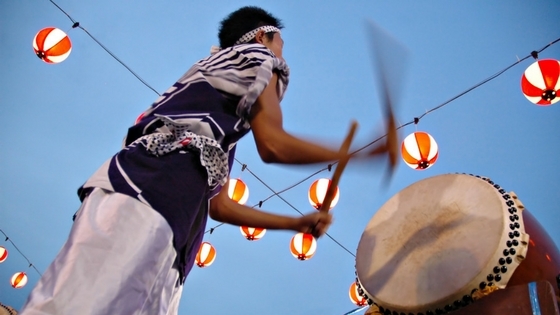 Celebrate Japanese culture and heritage at this fall festival. Take a candlelight stroll through the gardens at Nathanael Greene/Close Memorial Park, or participate in cultural hands-on activities from Springfield Sister City, Isesaki, Japan. Enjoy authentic Japanese foods, tea, and gifts; watch Osuwa Takio drumming; hear from Japanese story teller Karin Amano; check out Serian Japanese calligraphy; and do much more at this unique event. Springfield offers you another opportunity to celebrate the diverse cultures of those around us with this free event at this “traditional family-oriented celebration”. It’s located in the parking lot of the St. Thomas the Apostle Orthodox Church. Taste Greek entrees, pastries, alcoholic and non-alcoholic beverages here, or participate in music and dancing while the kids check out the playground bouncers. Browse the Greek memorabilia available and even silent auction items to see if you want to take a souvenir home to remember this fun festival. There’s so much happening in Springfield this month, we can’t highlight each specifically! More events include Cider Days from the 16th to the 17th, the Day for Kids Fun Walk on the 16th, and the Heart of America Music Festival on the 23rd! What are you most looking forward to doing in the city this month? Let us know of any other events or festivals happening in the upcoming weeks by leaving a comment! Thanks for reading!